What’s so bánh-tastic and un-phở-gettable about the TTI bootcamp in Vietnam? If you ask mì it’s gà-ht to be spending three days in a five-storey airbnb with 13 other crazies. Don’t cha wish you were there? It’s been three years since our founders, Hendric (Uncle Potes/UPT) and Cherie (Mama Cherz) brought this vision of travelling for a living to life. Four bootcamps on and seven intakes of interns later, some things just don’t change. Read about our previous bootcamp in Phuket! You’ve probably read some of the previous bootcamp articles by now (or you’re going to in the next 24 hours), and one obvious constant you’d notice is the grave lack of sleep that everyone has talked about. Or more accurately, why can’t you? For some, it’s the fact that there’s 1,654,398 GB of footage to go through from every videographer in order to piece together that WhOppInG cOntEnTz. Hands up if you understand the pain of looking through all the videos you’ve unsparingly taken. Not to mention, sorting and arranging everything in some order on not one, but six cameras. For others, it’s as simple as a mental block that could last for hours. Hours we did not have. They said it was going to be quite chill this time around. They said it used to be worse. To be honest, I don’t even know how. In previous batches, the interns were grouped up and thrown into foreign land with their assignments in hand, hardly knowing a thing about each other. This time, we had the luxury of spending over a week together in Singapore, getting to know each other. Not nearly enough, if you ask me. Still a little awks. Uncle Potes and Cherz split us into five groups — two were to cover Central Vietnam and three were to cover the North. 14 content creators, five groups, four cities and ONE goal: to get that cOntEnTz. Really, what could go wrong? So after nine days of interacting with everyone, planning how to go about our respective assignments and getting familiar with the hardware, software and where we’re going, it was time to leave our nest. Over 17th and 18th Feb, five groups of interns landed in various cities around Vietnam. Some arrived in Da Nang and split up to conquer Hoi An and Hue, while the rest of us began in Hanoi and broke off to Sapa and Halong Bay. Regardless the destination, we were all in for an adventure. Quite a handful of tourists on the Golden Bridge these days. 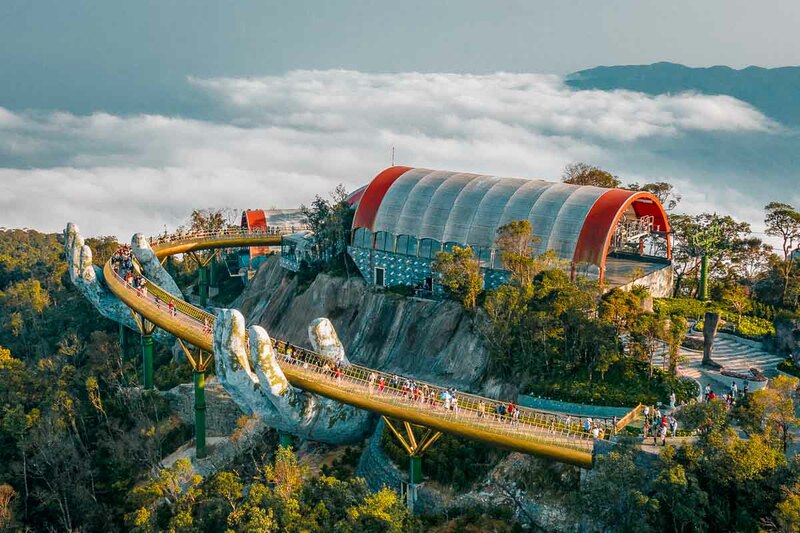 Team Hoi An (Jerome, Clarence and Nicole) and Team Hue (Cherz, Isaac and Renald) landed in Da Nang where they spent their first day together in the formidable hands of Bana Hills. I still can’t believe they have an amusement park up there?! SUCH. FUN. While we (the new interns Renald, Clarence, Lucas, Chloe and myself) only got to know each other quite recently, there are some things you just can’t stop from happening. Check out our Bana Hills Travel Guide! 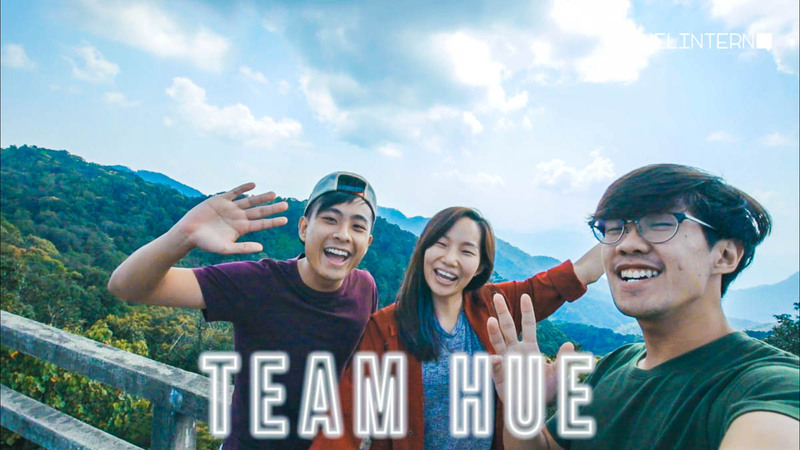 The next day, the couple parted ways as Team Hoi An and Hue continued their respective journeys. Just when I thought things couldn’t get more exciting, Team Hoi An gets roped in on a basket boat party! Think big baskets floating by with huge speakers blasting from within. Which party needs a DJ when you’ve got Clarence, Jerome & Nic doing all the spinning? They saw lanterns in the Old Town, went on a coconut tour, a bike tour, and also had an introduction to local food somewhere in between. 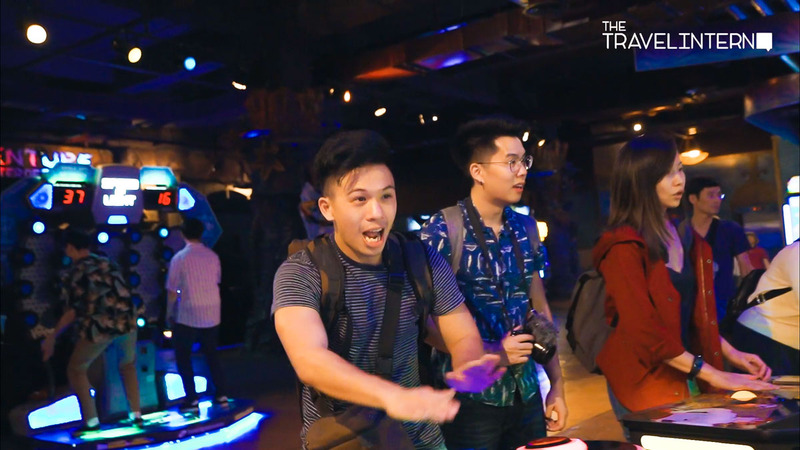 All these activities, yet the one thing that no one from Team Hoi An can shake, is Clarence puking after his misadventures on the basket boat. I don’t think he expected this sort of a “round trip”. It didn’t help that he had to take a video of Jerome, whose turn it was to have a go on the spinning boat. Neither did the balut that the team tried. But hey, good job guys! Wish I was there! Amidst the chaos on Instagram with everyone posting about the ac they’re doing, it was hilarious to hear that many initially thought the puking was fake. That it was staged. It was not. The second scariest thing (not producing your work being the first) in Vietnam would probably be the traffic. I hardly remember crossing the road without letting off a shriek, especially when it’s with Sherry. Geez. While some of us were braving the Vietnam traffic on foot, Team Hue took it up a notch and got their own bikes! Renald riding a motorbike. You were saying? 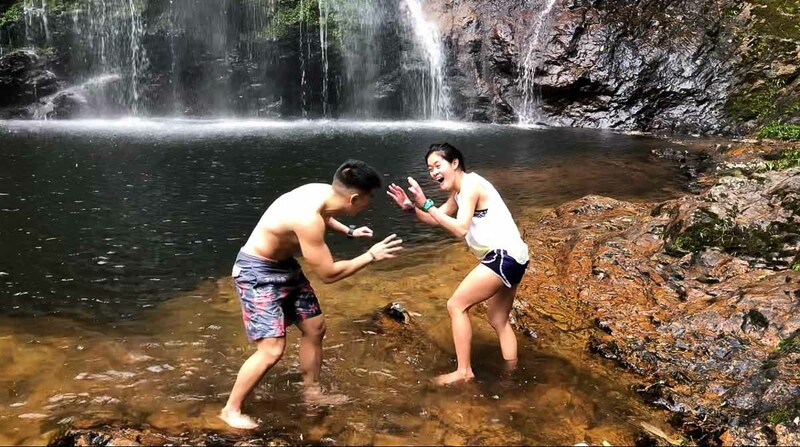 Team Halong Bay, comprising Mama Edelyn and Akif, kicked off their tour with some culture immersion in the city of Ninh Binh, a couple of hours away from the capital city. Akif after seeing some breath-taking sights. Yeah, they almost missed their ride back by going to the wrong meeting point. Edelyn, stop playing Pokemon Go! Save your phone battery for emergencies! 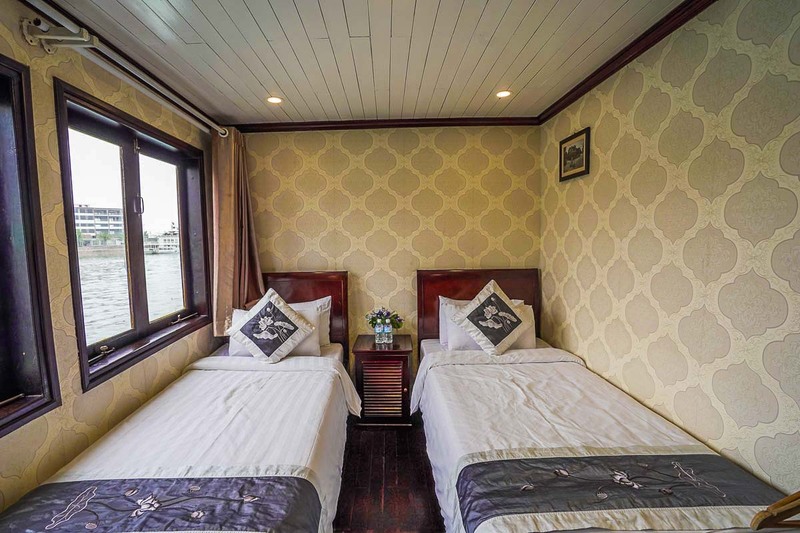 While Team Halong Bay got comfortable in their deluxe accommodation onboard their cruise (with memory foam mattresses no less), here’s Team Sapa’s “de-luxe” adventure. Uncle Potes, Lucas and I probably picked the most physically intense activity in this bootcamp — climbing to the top of Vietnam. 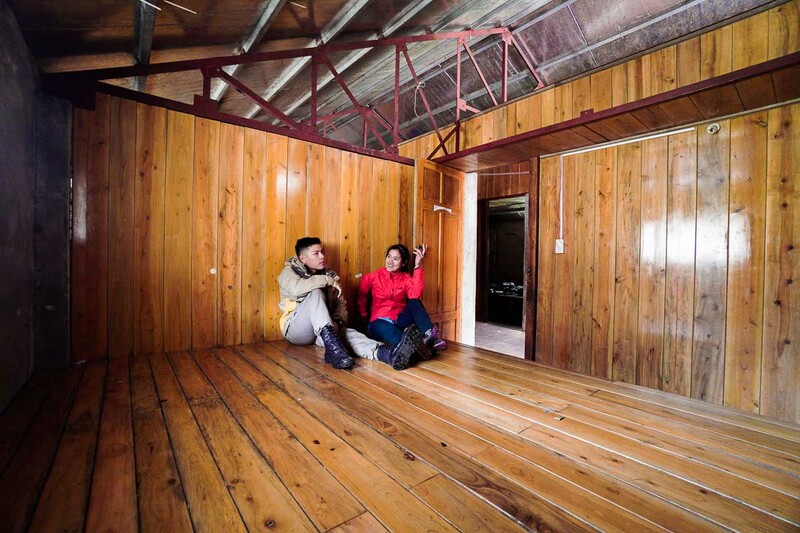 The cabins atop the Fansipan base camp are relatively new and spacious — Uncle Potes did the same hike six years ago and the cabins did not exist then! Instead, they squeezed in cosy shelters made out of steel frames draped with layers of tarp. There wasn’t much of a difference between using the bathroom and doing a nature walk (hiker’s lingo for peeing in the bushes) since piped water was non-existent. The wash basins and flush were pretty much for show (actually, I couldn’t even find a flush). It didn’t feel right leaving my, um, business in the bowl, so I tahan-ed for five hours till we got back to the town. “Sian” moment: After nine hours of hiking to the top, we realised we could only see clouds because of the weather. We literally couldn’t see beyond 10 metres of said clouds, let alone enjoy any view! The even bigger “sian” moment: witnessing the sky clear up the moment we descended the mountain. What a difference a day makes!!! Well, at least we have moments like these to remember Sapa by. 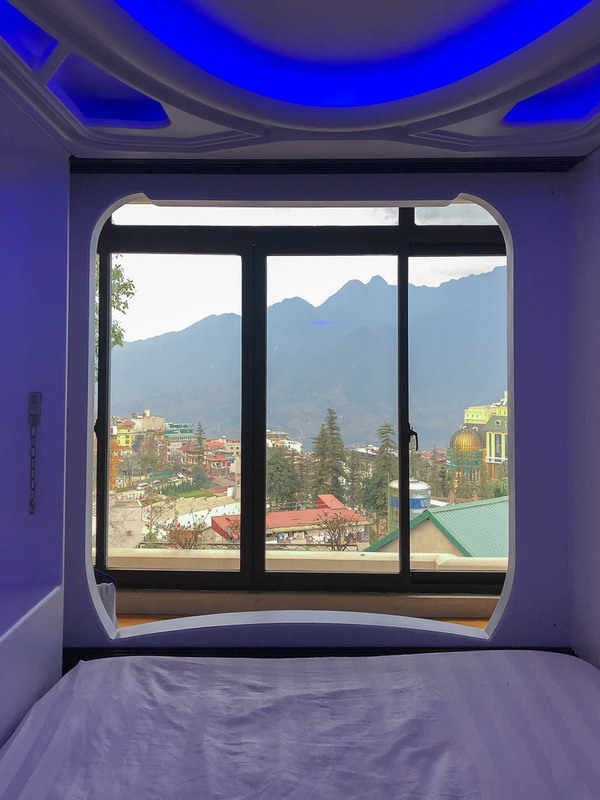 After experiencing freezing disappointment up on Fansipan, Team Sapa came home to the Capsule Hotel. Here, Lucas dismantled the door, frame by frame, to get that shot of Sapa centre from the capsule for the whOpPinG cOntEntZ. Don’t worry, he left it as good as new. 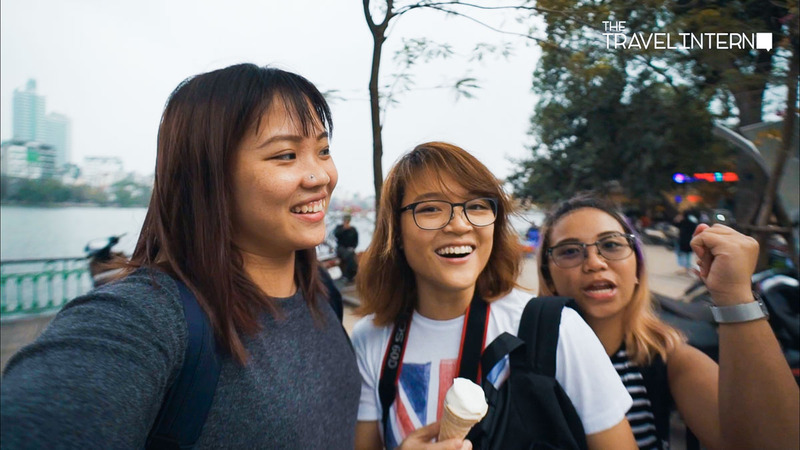 Over in Hanoi, the team (Chloe, Mich and Sherry) arrived a day after everyone else. 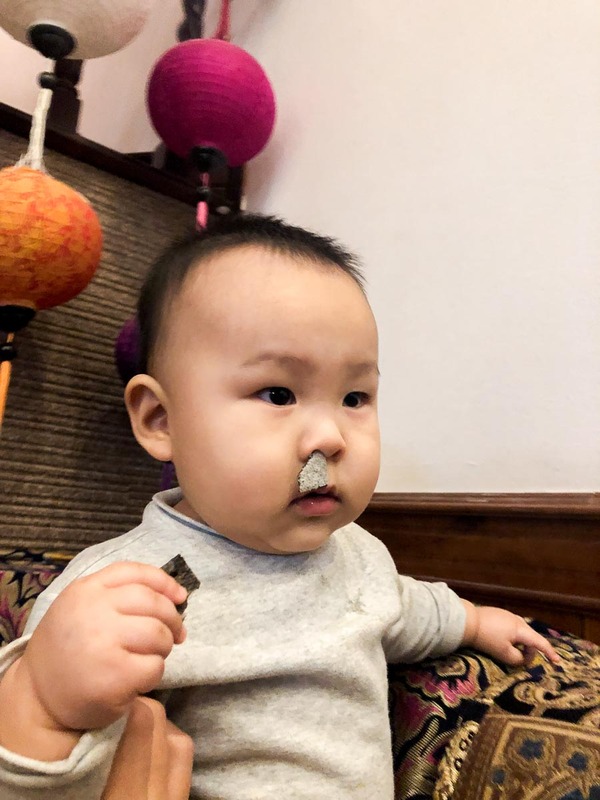 While the rest were busy losing things like their motorbike virginity, lunch and well, directions, Team Hanoi wasted no time and even picked up a new skill from the locals. Look Ma, no hands! Good effort, Mich! I was pretty amused watching Team Hanoi’s Instagram stories of them attempting to row with their feet. The best part was when Chloe spread her legs to row and immediately brought her hands in front of the camera. Because, um, we’re a PG platform. tl;dr: Always lock your toilet doors. 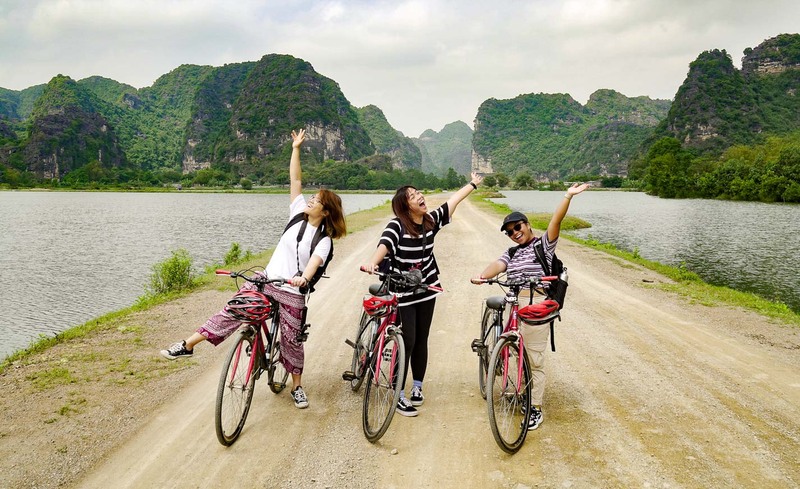 Check out our 7 Adventurous Day Trips from Hanoi — Halong Bay, Sapa, Ninh Binh, Trang An and more! My oh my, what a Bia-tiful home. Hoi can’t wait to check it out. 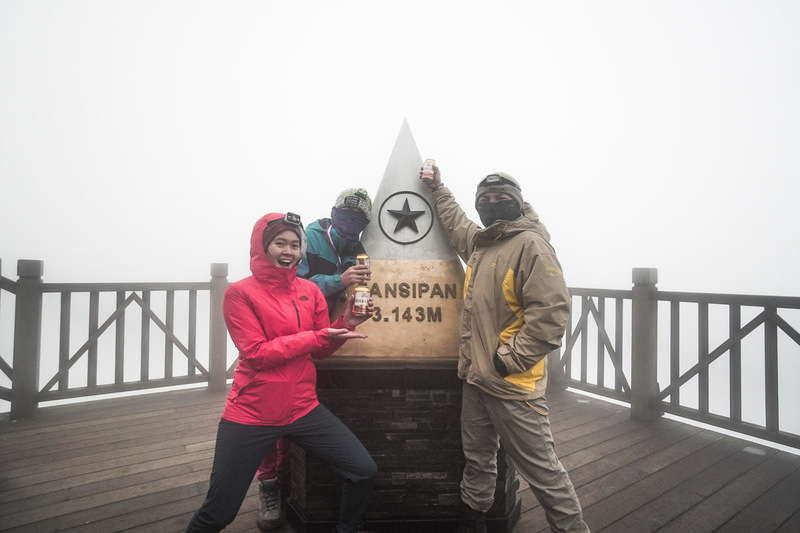 Team Sapa on Fansipan with Bia Hoi in hand! Didn’t realise I was trekking with two ninjas. The header bears no relevance to this section. I just wanted to emphasise the lack of a view from the summit to let myself marinate in my salt. And, our Bia Hoi (Hanoi Beer) that was a nice and warmth-inducing reward at six in the morning. So anyway, when UPT told us they booked a single airbnb for all 14 of us, I thought it was going to be similar to hostel-living, i.e. bunk beds with common showers. But then we saw photos of the place and surprise surprise, it was a five-storey bungalow! 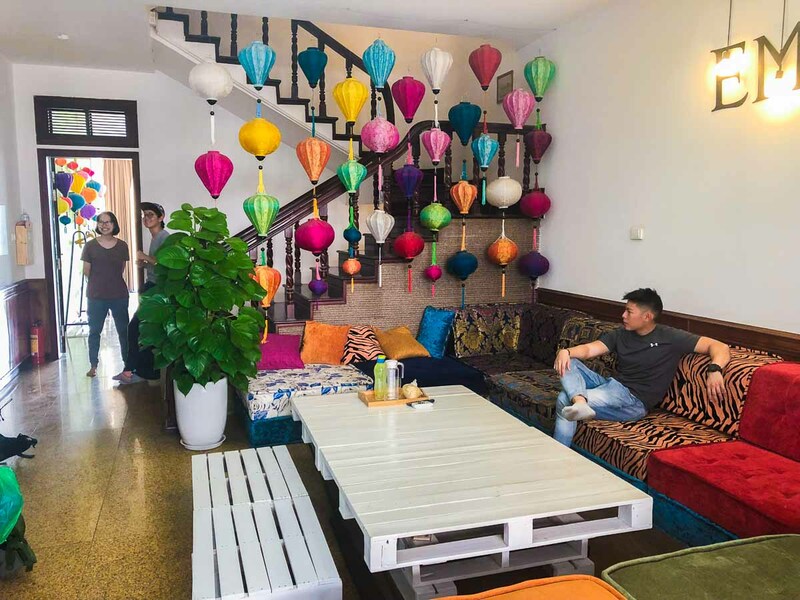 The name of our Airbnb, Êm Ấm, translates to “cosy home” and cosy it was! No, we did not watch High School Musical during bootcamp. We did however, get acquainted with the super-friendly baby named Bop! Bop shares our love for snacks. Disclaimer: Seaweed side of the cracker got stuck in Bop’s nose in his attempt to devour said snack. We did NOT torture this sweet boy. It’s been a week since we came back and we still miss him! Oh Bop Bop. He successfully induced a mini internal panic, but there was no time to lose. We had a big day ahead trekking up Fansipan, where we would spend the night before returning the following day. Plagued by panic, I made sure to pen down my thoughts about Fansipan on my phone before curling up into a double-coated ball of sleeping bags. When I first looked at our Vietnam itinerary and saw “Chiong Party”, I thought, “Yayyy partehhh!” It was much later that I learnt it was actually the infamous night of “chionging”, like, work-wise. As a writer, I feel obliged to do my due diligence and fact-check. So i did. So I guess it was technically a party. One where the only RSVP option is “Yes”, and stress binging on unhealthy snacks and coffee the entire night. Our dinner got Trumped by Summit security. Kim-on! Just when we thought events were winding down because it was our final night together in Hanoi, this happened. Mid-dinner scarmble! This was the second time it happened that night so we were visibly more calm. We were having our dinner at a modest street-style barbecue and hotpot joint. The street was bustling with tourists and promoters shoving menus in our faces. Safe to say, we were about two-thirds into our meal when we were so rudely interrupted. Our tables and food-laden BBQ grills disappeared in front of our eyes. Literally. I still remember the look of horror on Mama Edelyn’s face as a food vendor grabbed her by the pits and uprooted her from her seat. In a split second, the entire street that was once filled with satisfied customers on a full belly, had transformed into a patron’s worst nightmare. Not a single table in sight as the police vehicle makes its way through the street. Sirens blaring and food vendors retreating in-step, everyone had their phones whipped out and cameras recording. The streets were visibly emptier than before. Faced with a welcome party of paparazzi tourists, a lone police vehicle rolled through the cramped street. 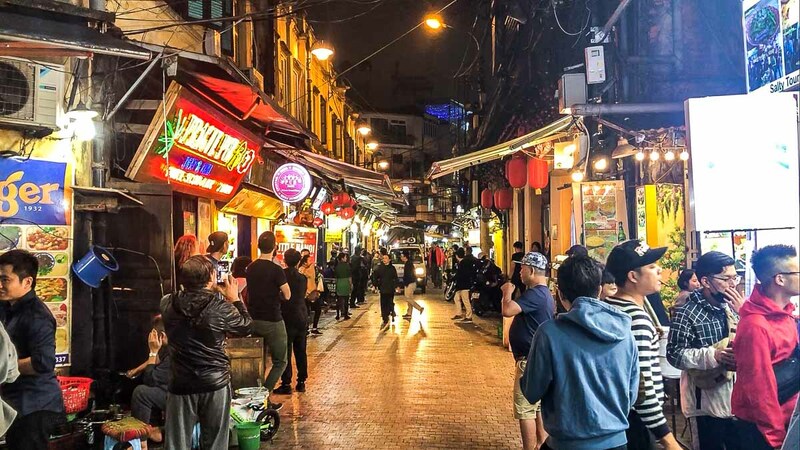 And as the group got separated in the chaos, some of us were holed up in the restaurant while others were stuck on the street a few metres away. It all happened so fast, there’s no way of telling where you’d end up. Lucky for me (and Mama), we found ourselves right next to the food we were robbed of! So um, yes, we were busy trying to finish our meal. Priorities, right? The reason was revealed to us later: the Trump-Kim Summit 2019. Coincidence much? As we wrapped up the fifth bootcamp in Vietnam, everyone had their own takeaways. From things as simple as learning to eat more vegetables (Renald, you’ve found a friend in me), to discovering the amount of effort that goes into creating Instagram stories. It was an epic few days of bromantic and barfing encounters, getting chased by the police, slipping into waterfalls, getting one’s intimates exposed (unintentionally), getting hopped up on caffeine and going gaga over a ball of cuteness called Bop. New bonds were forged, relationships were strengthened and even more memories were created. 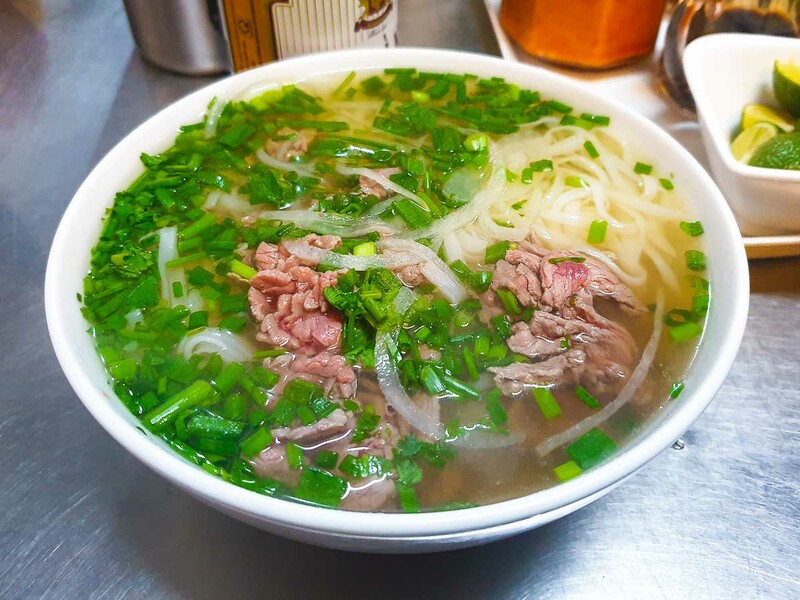 There’s still much to be discovered about the land of pho, and rest assured, we will be back! 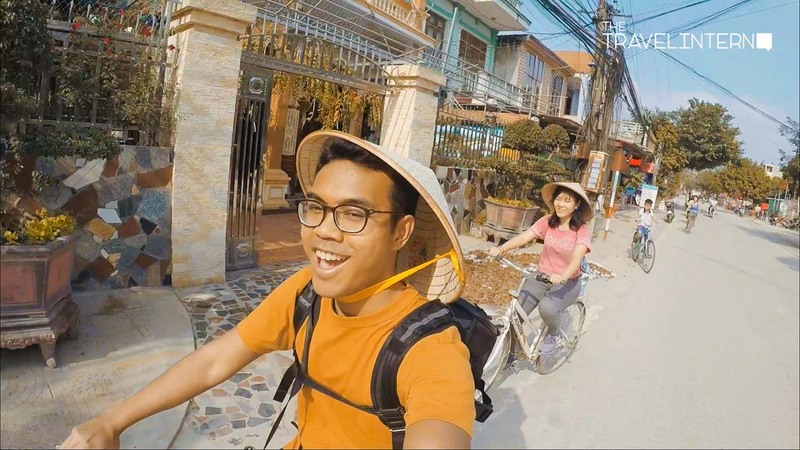 Check out our Vietnam content for a taste of what we experienced! Sports lover, seafood enthusiast and adrenaline junkie. When she's not jetting off someplace, you might find her hitting sandbags, throwing balls around in a dress, getting dragged around the East Coast Lagoon or horizontal.